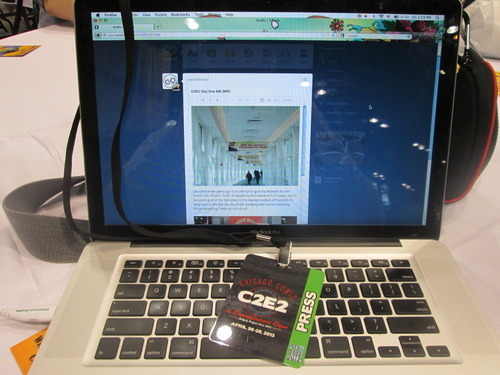 Launched three years ago in an attempt to give the Midwest its own Comic Con of sorts, C2E2 is happening this weekend in Chicago, and I’ll be covering all of the festivities. 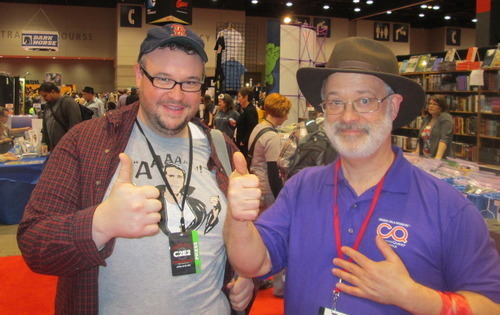 C2E2 was an attempt to bring together both the comic world & the entertainment & film & television worlds in one place. 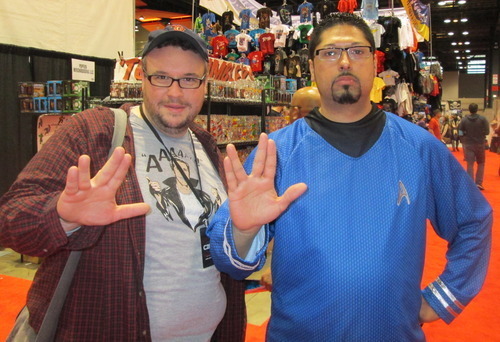 Chicago’s McCormick Place is jam packed with thousands of geeks & otaku, and they’re mingling, buying, chatting & meeting their pop culture idols. Some of the high profile guests that will be here this weekend include Alex Ross, Brian Azzarello, Ethan Van Sciver, Ron Perlman, Kevin Smith, & Patton Oswalt. Throughout the weekend I’ll be bringing you all sorts of interesting coverage. I’ll be interviewing Hack/Slash creator Tim Seeley, attending a Speed Dating session & mingling with the cosplayers. 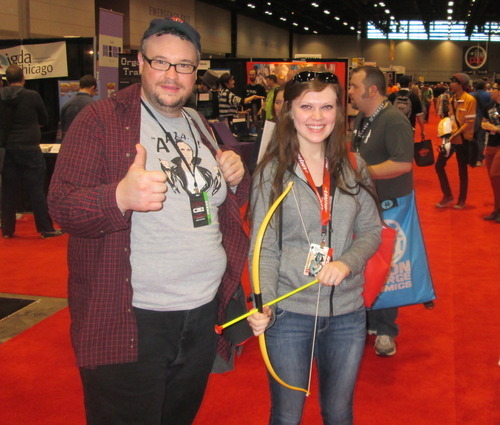 I’ve included some photos below of some costumes from The Hunger Games, a life-size mockup of Speed Racer’s Mach 5, my favorite cosplayer so far (the guy dressed as Nova) & a bonus picture of myself with She-Ra, The Princess of Power. Stay tuned for more coverage throughout the weekend. 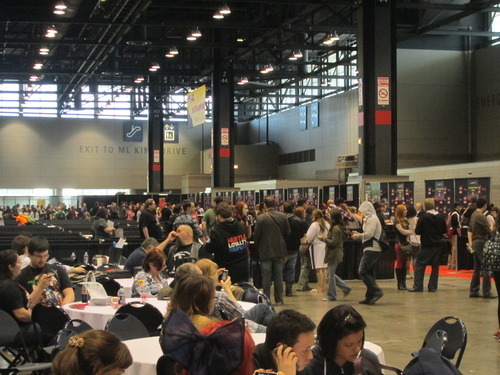 As the crowds thinned out in the afternoon, the lines for celebrity autographs began to dwindle, as did the lines in Artists' Alley. At 3:15, Chicago theatre comapny StrawDog presented a dramatic reading of a new comic from IDW titled Kill Shakespeare. Images from the comic were projected on a screen while actors read the various parts. It was an interesting concept, and I recommend the book when it comes out for any literary minded comic book fans. 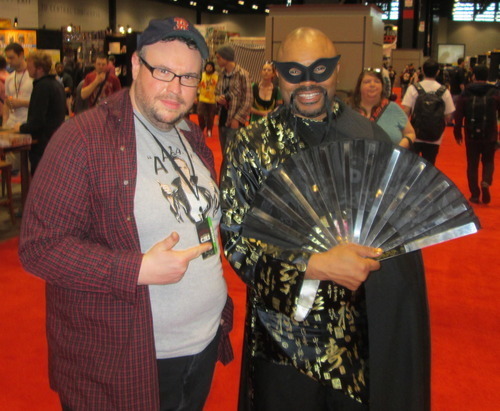 This guy said he was The Mandarin, but he didn't have his ten rings. Who is that? Why, it's Mr. Spock of course!